favoriete live-action Jungle Book movie? What do u think of Netflix's Mowgli: Legend of the Jungle (2018)? What do u think of Disney's The Jungle Book (2016)? What do u think of The Jungle Book: Mowgli's Story (1998)? What do u think of The seconde Jungle Book: Mowgli & Baloo (1997)? What do u think happend to King Louie that stopped him from appearing in Jungle Book 2? Did he die? of Did he run away? Is there such a thing as jungle book achtergrond for a little boys room? If so where can i get it? I grew up on the 1967 animated The Jungle Book and to this day, I still love watching it as an adult. There was a remake back in 1994 as well as a prequel movie and to me, neither one was that good and did not have that heart. Then there was a sequel to the animated movie back in... 2002, I think. And it's not that good either and actually didn't even need to exist. So how does our newest take on the story hold up? a poll was toegevoegd: favoriete live-action Jungle Book movie? a poll was toegevoegd: What do u think of Netflix's Mowgli: Legend of the Jungle (2018)? a poll was toegevoegd: What do u think of Disney's The Jungle Book (2016)? a poll was toegevoegd: What do u think of The Jungle Book: Mowgli's Story (1998)? 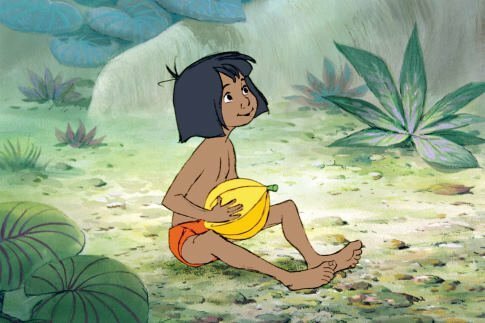 a poll was toegevoegd: What do u think of The seconde Jungle Book: Mowgli & Baloo (1997)?